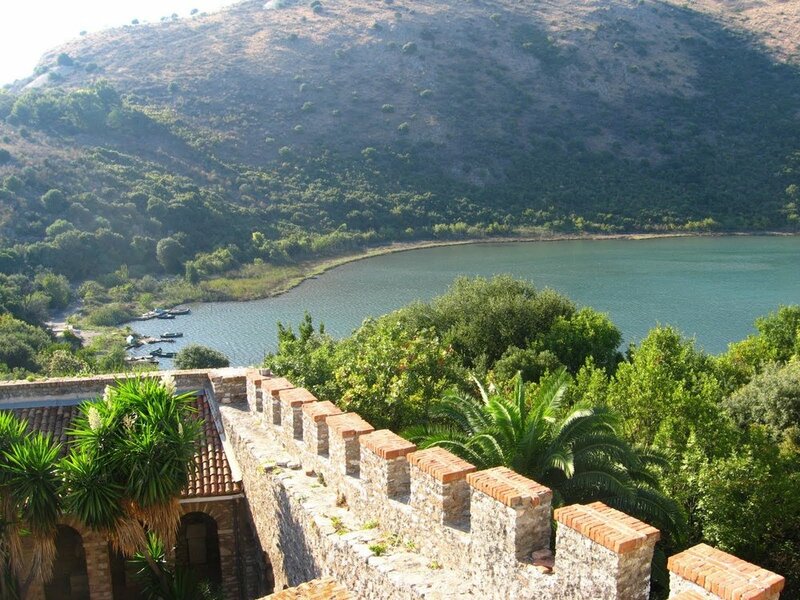 Along the way, we visit the UNESCO listed sites of Gjirokaster, Butrint, and Berat and explore Albania’s rich cultural heritage through its archaeological ruins and local traditions. This morning when we retake to our bikes we leave behind the agricultural plateau of Korça, climbing steadily into the border mountains through a landscape of barren rock interspersed with wild flowers. Numerous cols and valleys lie ahead, climbing into the heart of the Grammoz Mountains and over the Barmash Pass (1159m) to Germenj lying in its own tranquil valley. We spend the night in wooden bungalows 'Farma Sotira' in Germenj. We climb out from Germenj on our bikes to a high grassy plateau surrounded by soaring peaks before reaching the source of the River Vjosa and descending through its spectacular gorge to Leskovik. The route continues with a descent to Çarshove before following the cornice route high above the river to Permet situated on a bluff above the river. A short but dramatic drive of about one hour will bring us to the historic town of Gjirokastër, another UNESCO Heritage site that is home to some truly stunning Ottoman architecture. Gjirokastër is magnificently set between the towering Gjerë Mountains and the Drino River, providing us with a beautifully scenic arrival by vehicle from Permet as we pass through the Drino Valley and the Kelcyra Gorge. After checking in to our hotel, we have a chance to explore its historic heart, taking in its beautiful 18th and 19th century buildings and the dominating presence of its Ottoman citadel, believed to be the second largest in the Balkans. 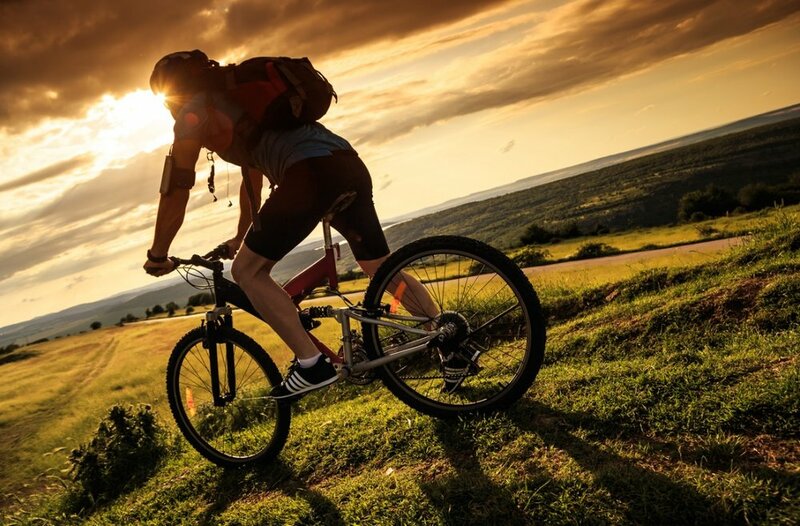 A short drive after breakfast will bring us to the beginning of the cycling section that starts with a downhill ride from Muzina Pass. The ride then encircles the lagoon of Butrint National Park where we will visit the archaeological site. A UNESCO World Heritage Site, Butrint is one of the county's most important archaeological treasures, tracing its origins back to the Greeks and the Romans. In the afternoon we continue our ride onto Saranda and spend the evening at the waterfront. The gateway to southern Albania, Saranda lies along the Ionian coast, sandwiched between the high mountains and the sea and close to the ancient remains of Butrint. We continue our route into the valley heading north before climbing over several cols, through woodlands, little gorges, forests and around hairpin bends. Along the way we pass the old fortress of Ali Pasha of Tepelena, Palermo Bay, the Monastery of St. Theodore and Gjipe Bay and the coastal town of Himara. Our cycling adventure ends with a descent to the picturesque village of Dhermi, nestling amongst the rocky slopes of the Ceraunian Mountains. After lunch we drive 120 km to Berat, enjoying the great mountain and sea views of Llogora National Park enroute. Home to black pine, Eurasian otter and golden eagles, the park is a scenic expanse of protected woodland that encompasses the forests on the northern side of the Llogora Pass. Berat is perhaps the most beautiful town in Albania. Explore the cobbled alleys between the white walled houses and visit the citadel high above. Staying in a traditional hotel in the historic neighbourhood of Mangalemi, we should have some time to explore this World Heritage site before dinner. 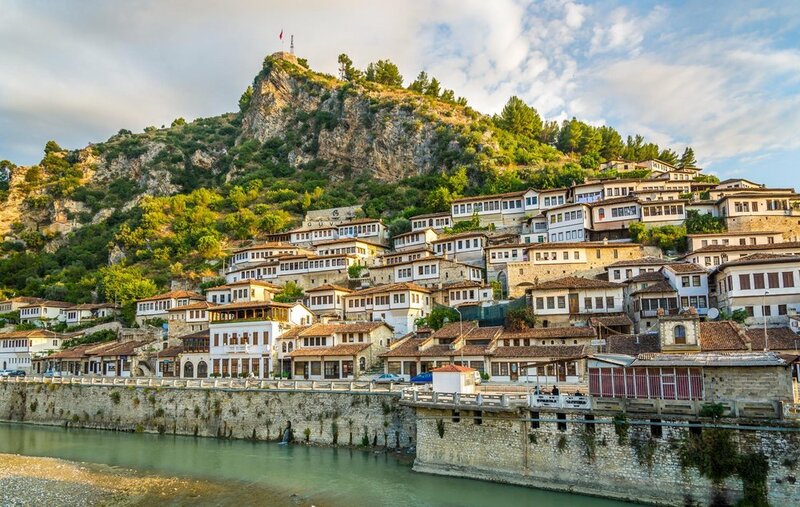 Time permitting, there is an optional visit to the Onufri Iconographic Museum, located in the sanctuary of St Mary's Church in the inhabited quarter of Berat Castle. Home to a remarkable collection of religious paintings, the museum is named after a famous 16th century icon painter whose works were characterised by post-Byzantine and Venetian influences. We make our way by bus to Tirana Airport, located about 200 km from Berat, where our trip ends.